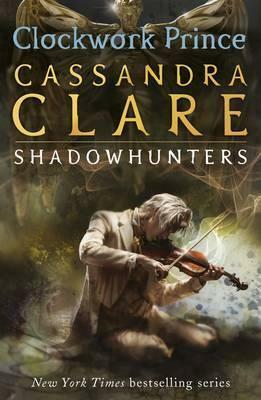 Second in Cassandra Clare's internationally bestselling Infernal Devices trilogy about the Shadowhunters. Love and lies can can corrupt even the purest heart... Second in the bestselling prequel series to The Mortal Instruments, set in Victorian London. Tessa Gray find her heart drawn more and more to Jem, while her longing for Will, despite his dark moods, continues to unsettle her. This edition contains a bonus story, a map and a new foreword by Cassandra Clare. Read all the sensational books in The Shadowhunter Chronicles: The Mortal Instruments, The Infernal Devices, Tales from the Shadowhunter Academy, The Bane Chronicles, The Dark Artifices, The Last Hours and The Shadowhunter's Codex. The plot is fantastic and so orginal! Twists, turns, mysterious, haunting moments. Things you never saw coming did! I enjoyed every page from beginning to end .As soon as I opened the novel it was so haunting and exciting. It had my pulse facing, heart pounding tears rolling down my face and smiling with excitement. This book brought me in straight away and I couldn't believe how many jaw dropping moments there truly was! -- http://www.dark-readers.com/2011/11/book-review-clockwork-prince-inferal.html * Dark Readers * As well as a ridiculous skill for making you fall in love with her characters, Cassandra Clare really knows how to spin an addicting and all-consuming plot. The impending threat of Mortmain, the fear of Charlotte losing the Institute and wondering what on earth Jessamine was up to made me nearly unable to stop after `just one more chapter' as I kept telling myself. The action was furiously paced and had me holding my breath and the softer down times often had me grinning like an idiot. Cassandra Clare is the author of the internationally bestselling Mortal Instruments, The Infernal Devices, The Bane Chronicles, The Shadowhunter's Codex and Tales from the Shadowhunter Academy. There are more than 40 million copies of her books in print worldwide. They have been translated into over 30 languages and have appeared globally on bestseller lists. The Mortal Instruments: City of Bones is now a major movie. Cassandra lives in Massachusetts, USA. She is currently working on two new Shadowhunter series, The Dark Artifices and The Last Hours. Visit her online at CassandraClare.com. Learn more about the world of the Shadowhunters at UKShadowhunters.com.